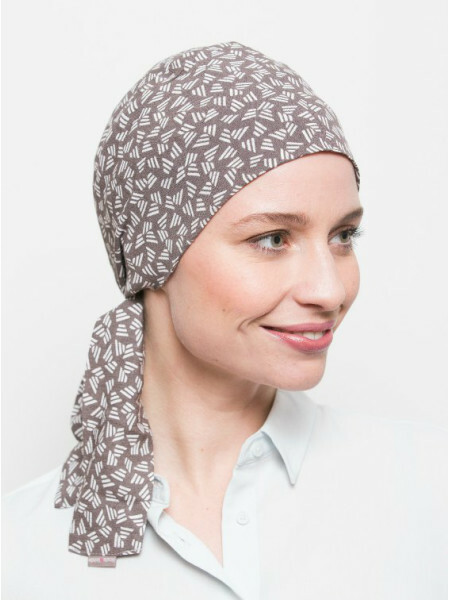 Are you looking for an elegant lightweight chemo head wrap to wear during those warm days (or hot flashes…)? Look no further! This easy-to-put-on head scarf with its delicate Brownie pattern will become your favourite in no time. You’ll just love its beautiful soft cotton mix, the nice comfy finishing without abrasive stitching or elastic bands, and its feminine casual bandana look. Just tie it at the back and you’re ready to shine!